Is now the time you start building your legacy, amplifying your message, and stepping into powerful leadership? If you’re a soulful, passionate entrepreneur and you know you are meant to impact the world in a deep way, you’ve found the right place. Most likely you love what you do, but you’ve reached an upper limit in your business. You are afraid of losing yourself as you scale–and your confidence may be wavering. You might even be lacking clarity of direction as you are called into your next evolution of leadership. You are excited to expand your vision to new heights, but there is something holding you back from your next level of impact and business growth. Here’s the truth: What got you to this level of success isn’t what will take you to the next. This is where I can help! 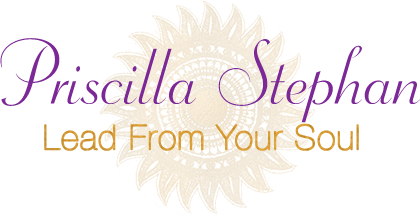 I am an Intuitive Business Strategist & Leading From Your Soul Facilitator. My mission is to help conscious entrepreneurs build profitable companies by becoming impactful leaders so they continue to change the world. Become a more impactful leader by identifying and living in alignment with your Leading from your Soul Archetypes. How much more joy could you have in your business by embracing your natural leadership style and strengths? Map out a soulful and strategic marketing plan for the next year of your business. How would knowing your exact next steps to reaching your income goals with ease change your life? Take your business to new heights as you hone your CEO, Leadership and Money Mindsets. What legacy are you creating and how are you going to get there?